On Thursday 17th August 2017, Kirklees Council were informed that the Planning Inspectorate have overturned their previous planning decision about Newsome Mill Ponds and the land at Hart Street. This means that the leaseholders now have Outline planning permission for 22 houses on the site. If this development goes ahead, it will destroy the oldest surviving part of Newsome Mills, and take Newsome’s green heart with it. Please Join the campaign to receive updates by email. 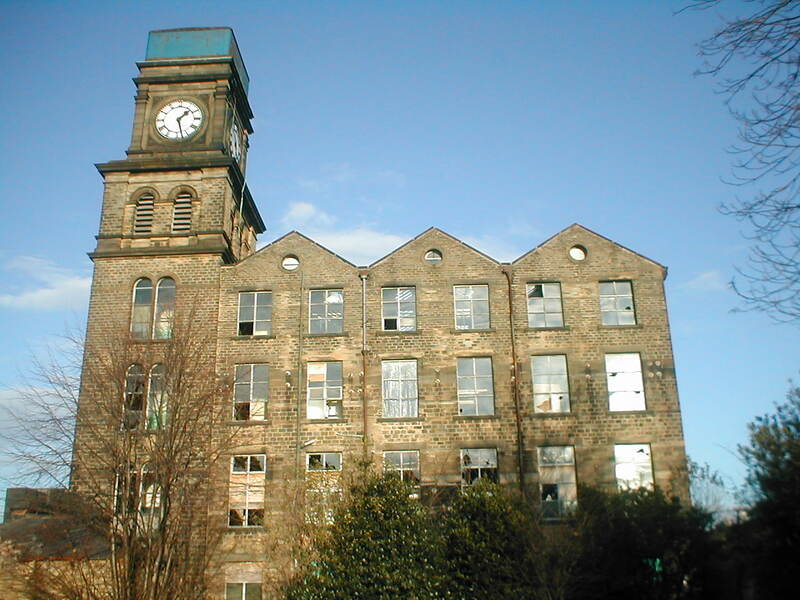 A public consultation about proposals to demolish Newsome Mill was held in Spring 2017. Kirklees Council received 80 comments about the proposals from individuals and from local organisations. Of these, 79 were opposed to the plans to demolish Newsome Mill. Only one was in favour. In addition, several heritage organisations spoke up for Newsome Mills. We campaigned against the demolition, as we believe this is the best way to protect all the buildings at Newsome Mills, and to give residents a voice in what happens next. The strength of the objections were such that Kirklees Council called a meeting with the owner’s agent on Friday 28th April 2017 to explain that the plans could not possibly be approved. Those demolition plans have now been withdrawn. Please note that this consultation was purely about whether we were for or against demolition of the existing Grade II Listed buildings – it was not about opposing housing on the site, but about making the best of Newsome Mills for local people. The proposals were withdrawn on 8th May 2017. Here’s some advice we offered to residents in the immediate aftermath of the fire at Newsome Mills. It includes an appeal to share information with the police, how you can help to protect the remaining buildings and ways of connecting with others who care. I don’t know what other people see when they look at a mill that’s outlived its working life. Some people call these buildings ‘derelict’, ‘abandoned’ or ‘empty’. But I don’t think that Newsome Mills is any of these things. I think that this place is full of history, full of life, and full of promise for the future. Newsome Mills stands right at the heart of the village of Newsome (in Huddersfield, West Yorkshire, England). Newsome grew up around it. The main four storey mill building towers over Newsome and its residents. It can be seen on the hillside from all over Huddersfield. I grew up in the shadow of this mill. Every day it looks down on us from its great height, through the broken faces of its landmark clock tower. It stands silent, waiting for something to change. I can’t imagine Newsome without this mill. And I need your help to save it. We need your help to keep these important buildings safe. The owner still intends to convert the mill into apartments, and to build new houses behind the mill. Whilst we are waiting for the building work to start, you can help by reporting all trespassers, vandalism and any other suspicious activity to the Police. To call anonymously, ring Crimestoppers: 0800 555 111. If you see any suspicious vehicles near the mill, please write down the date, the time and the registration details, then tell the Police. To make sure that no further damage is done to the buildings at Newsome Mills. To encourage Kirklees Council to work closely with Panorama Living Limited (formerly Royalle Estates) to help them submit their new plans, and for these plans to be sensitive to the mill buildings. To campaign for some heritage protection measures for the mill ponds and the coach house buildings. To raise the profile of Newsome Mills. To get the damaged war memorial restored and make sure that it is returned to its rightful place on the mill site. To make sure that the mill clock is sensitively restored and working again. To oppose any further planning applications that involve the destruction of the mill ponds, or any of the other buildings at Newsome Mills. To get the mill ponds and the land at Hart Street returned to public or community ownership, so that the site can be managed by the local community. To develop a business plan for the community use of the mill pond site. To gather information about the history of the mill site, including plans, records and people’s memories of the working life of the mill.